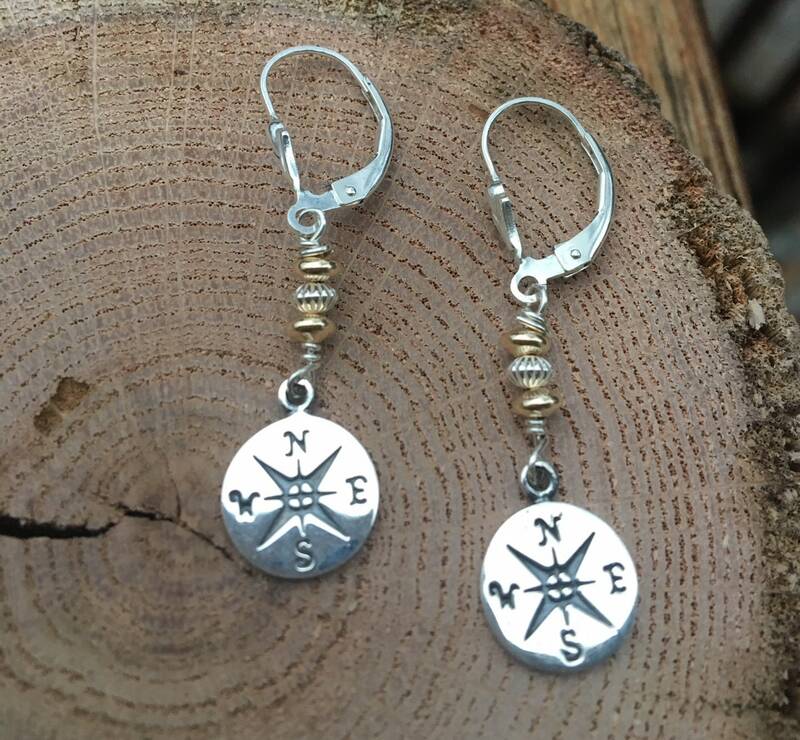 These sterling silver earrings have a compass charm that is solid throughout. 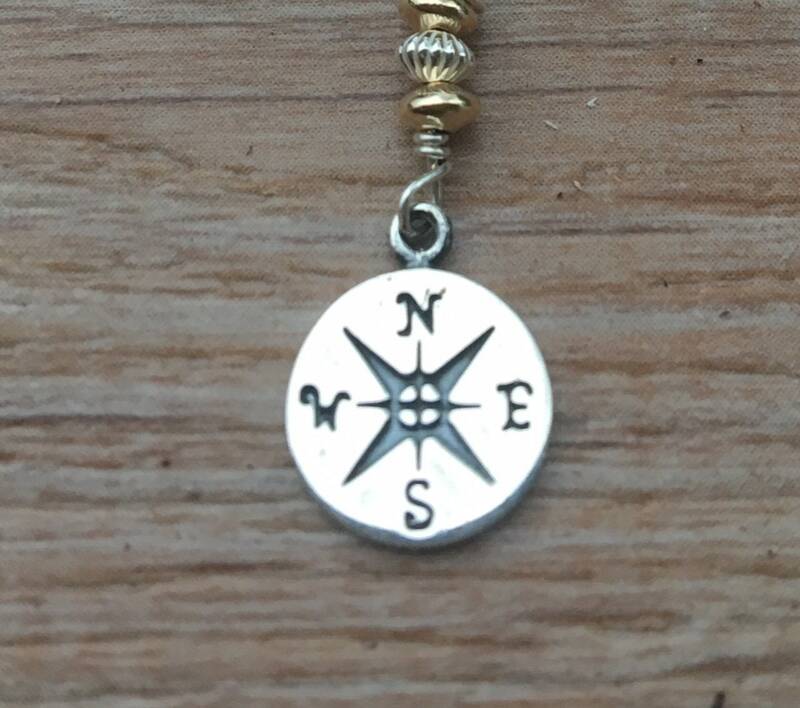 It is hand wired to sterling silver & gold filled beads. 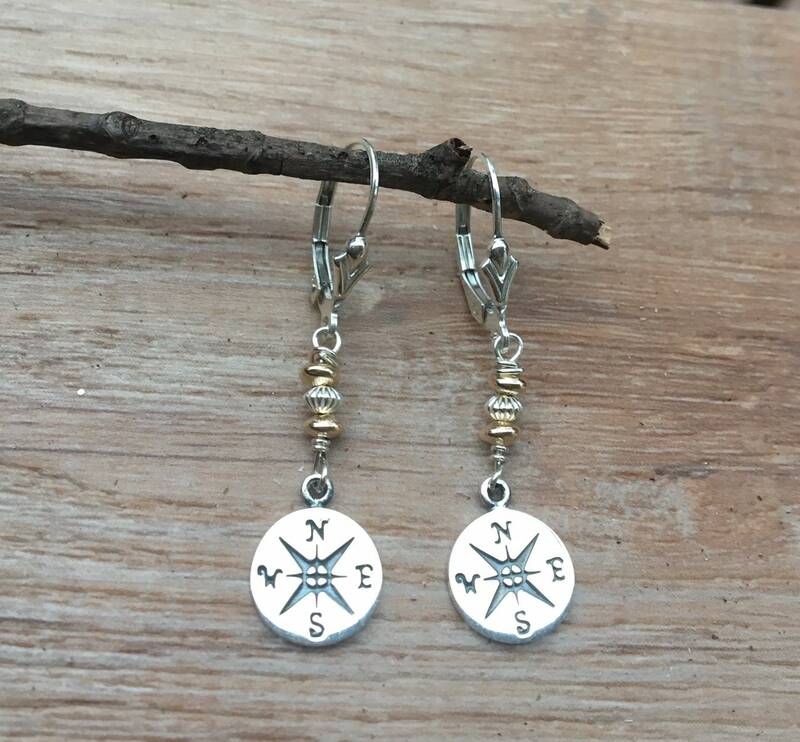 Both the compass charm & center beads move nicely on these earrings. The compass holds meaning as a symbol for guidance that may point you to the right direction (particularly when traveling). Measures 1 5/8" long including the sterling silver lever back wires. 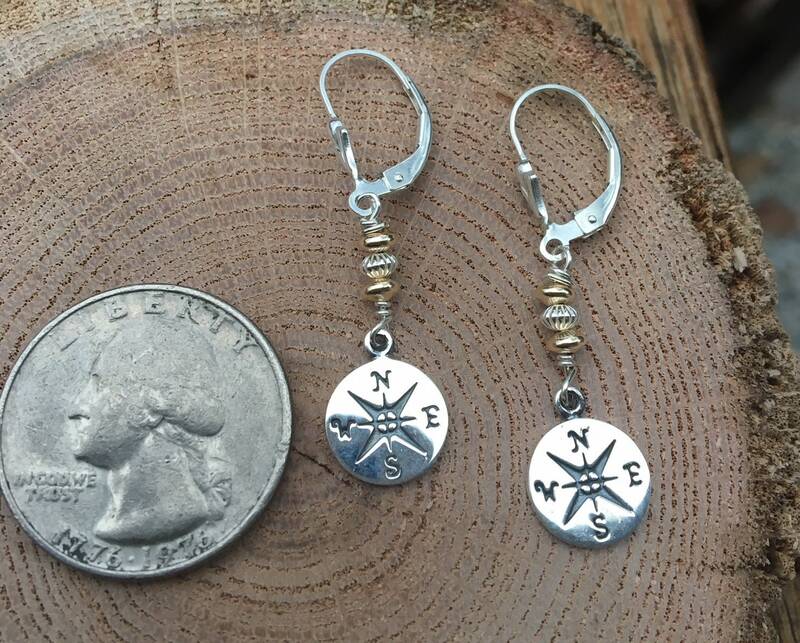 You may also choose standard sterling silver fish hook wires.